Nuclear fission and fusion systems. High power density plasmas. Plasma-material interactions. Engineering educational methods. Dr. Gilligan's research interests are in nuclear fission and fusion systems and high-power density plasmas and plasma-material interactions. Almousa, N. M., Gilligan, J. G., & Bourham, M. (2016), IEEE Transactions on Plasma Science, 44(9), 1642–1648. Gonzalez, P. P. V., Gilligan, J., Winfrey, L., & Bourham, M. A. (2015), IEEE Transactions on Plasma Science, 43(10), 3645–3652. Winfrey, A. L., Gilligan, J. G., & Bourham, M. A. (2013), Journal of Fusion Energy, 32(2), 227–234. Winfrey, A. L., Gilligan, J. G., & Bourham, M. A. (2011), In 2011 IEEE/NPSS 24th Symposium on Fusion Engineering (SOFE). 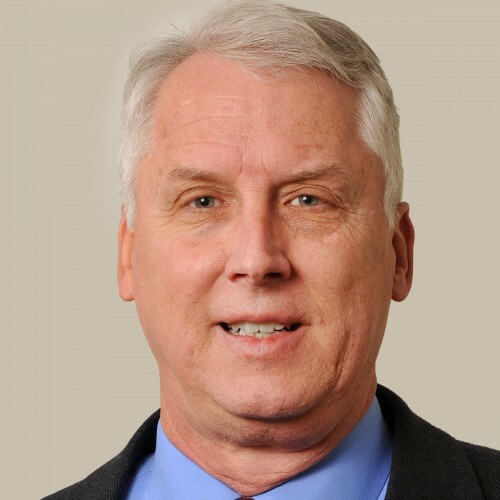 The INL / NCSU joint appointment for Dr. John Gilligan supports his efforts as the Nuclear Energy University Program Integration Office Director. NEUP awards approximately $60M annually in a competitive process to US universities for research and development and infrastructure awards. Work plan One half of the time of Dr. Gilligan is dedicated to the NEUP program to provide guidance, advice, program plans, summaries, and coordinated discussions and meetings at various locations including DOE? ]HQ, INL, workshop locations and universities. Budget Justification One half of Dr. Gilligan?s salary is covered by the joint appointment over a twelve month period. Travel is included to cover travel to Washington, INL, various universities and meeting locations. This award continues specialized administrative and program support for the DOE NEUP program for the Director Dr. John Gilligan. The NEUP program allocates funding of about $150M to universities around the nation through the Idaho National Laboratory for the US Department of Energy. The position of Program Assistant (PA) will help develop program materials, accumulate and analyze data, and review and edit NEUP materials (FOA, RPA, and RFP, etc.). The PA will report to the NEUP IO Director at NC State University and be located in Raleigh, NC. It is anticipated that the PA will work part time on a regular basis. This is a proposal to the National Science Foundation (NSF) Alliances for Graduate Education and the Professoriate (AGEP) program. The title of the project is the North Carolina Alliance to Create Opportunity Through Education (OPT-ED). The purpose of OPT-ED is to substantially enhance efforts in North Carolina to increase the number of underrepresented minority (URM) students receiving PhD degrees and ultimately entering the professoriate in science, technology, engineering, and mathematics (STEM) fields. The proposed AGEP project combines two existing Minority Graduate Education (MGE) projects at the University of North Carolina at Chapel Hill (UNC-CH) and jointly at North Carolina State University (NCSU) and North Carolina A&T State University (NC A&T). Immediately after the MGE grants were awarded, the three schools formed an alliance; one year later, formed a formal network that included all NSF-HRD supported URM initiative projects in North Carolina: the Louis Stokes Alliance Minority Participation Program, the Historically Black Colleges and Universities, and Centers for Research Excellence in Science and Technology, in addition to the North Carolina Math Science Education Network, a K-12 program with sites at college campuses across the state. Thus, OPT-ED is the formal alliance of the three institutions under one program and the building and strengthening of the collaborative network or alliance among NSF-supported URM initiative projects in the state. OPT-ED?s strength and uniqueness is its incorporation of NSF URM initiative programs in North Carolina into a broader alliance to form student pathways to the PhD degree and the professoriate. OPT-ED and its network partners recognize that STEM PhDs are not the result of graduate programs alone, but are fashioned from the intellectual building blocks that occur in middle and high school. The logic behind the development of OPT-ED stems from the conceptualization that the connecting of programs with common goals, to advance the participation of URM students in STEM fields would strengthen this effort in a much broader fashion. The key is the participation of programs from the education spectrum ranging from middle school to PhD programs. This in itself is a unique development. This framework allows a clear pathway to be evident in that students in the middle school program can receive guidance and support all the way through to the completion of the PhD. These connections will enhance the possibility of students continuing to receive encouragement, reinforcement, and expanded research experiences that will increase their successfully pursuing STEM graduate degrees. Through integrating the resources of all NSF-HRD (and ultimately other) diversity programs in the state, OPT-ED will have a broad impact across several educational levels, the state of North Carolina, the Southeast and, with the eventual production of PhD recipients, the nation. Thus, OPT-ED will serve as a comprehensive project for recruiting, mentoring, and graduating URM students in STEM PhD programs, and to carry out strategies to identify and broadly support URM students who want to pursue graduate studies and careers. The norms of inclusiveness at the AGEP institutions and the relationships that have been forged in Phase I and will be strengthened in Phase II will endure well past the termination of grant support. Given its goals and objectives, this alliance and the expected expansion of network programs will continue to work in partnership to provide URM students with opportunities to pursue PhD degrees and prepare for the professoriate well into the future. To establish common projects, long-term research programs and collaborations with technical personnel at ORNL and NCSU. Among the vaious areas of common scientific interest, emphasis will be given to research programs in the fields of computational materials and high performance simulations, including but not limited to: molecular electronics at the nanoscale and quantum transport in molecules and molecular materials; design of novel elecronic devices, magnetic nanostructures and spintronics; allow nanostructures and semiconductor-oxides/ferroelectrics interface structure and characterization; theoretical developments in ab initio quantum transport, DFT-based methods and multiscale computational techniques; problems in computational structural biology. Tasks will also include participation to the community effort in developing computatonal materials science application codes and tutoring students and postdocs in joint appointments and common projects. Joint funding and common grants will be vigorously pursued. This proposal is for the continuation of an agreement for Marco Buongiorno-Nardelli in the Physics Department at North Carolina State University.